Many businesses don't realize it, but a sales order acknowledgment is actually a great opportunity to widen your new customer's knowledge of your business credentials and the products or services you have on offer. Online sales give you an opportunity to provide a written acknowledgement of an order, and use your business email as an innovative tool for both customer relations and email marketing. This is a great opportunity for small businesses with tight budgets. 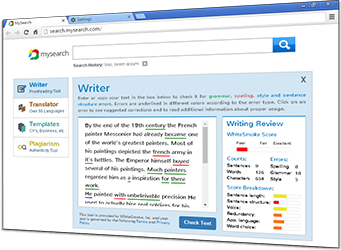 Here, we will outline an approach to writing a sale order acknowledgement, and show how to improve your English writing and English grammar with WhiteSmoke Writing Software. WhiteSmoke's comprehensive grammar software can make all the difference in presenting a professional company image. To this, further details may be added that are relevant to the order and delivery service. For instance, you can let the customer know about any bulk discounts, or free shipping on orders over $X value. It is recommended to close with a paragraph on your reputation for service or your mission statement. The important thing is to provide the customer with some more information about your company, but not to try to sell anything - s/he has already placed an order! Let's have a look at an example of a badly written acknowledgement letter, and a good one corrected by WhiteSmoke. You just placed an order for 30 hand-crafted greetings cards from our Christmas 2007 collection. Thanks, and, we hope you like them. Thank you for your order of 30 hand-crafted greeting cards from our Christmas 2007 collection. The order will be shipped within three working days. We would also like to inform you that we offer free delivery on orders over $150, so feel free to browse our catalog (link here), and if you would like to take advantage of this significant saving, please contact me directly. Euphoria Cards has been providing beautiful hand-crafted greeting cards nationwide for over 11 years. With over 100,000 customers to date, we are the No.1 art card supplier. Thanks for shopping with Euphoria. 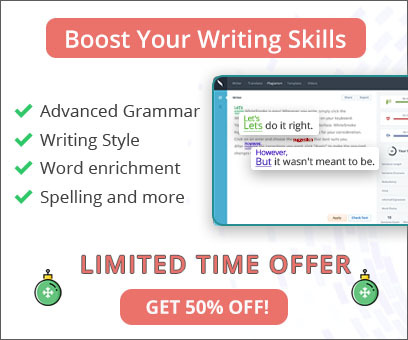 While WhiteSmoke Writing Software can't write the text for you, it can make sure that the effort you put into making the most of your business email and sales order acknowledgments is not put to waste by poor grammar, spelling, or punctuation.